Lourdes Jones had a terrific first time pass at Bangor today 12th July 2018. 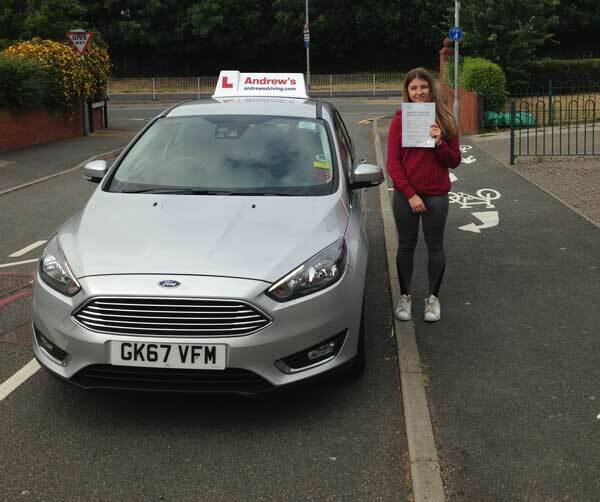 Lourdes from Llandudno passed her driving test first time with just 4 minors after a course of driving lessons in Llandudno and Bangor with Paul. Call us now to book your lessons in North Wales, we cover Holyhead, Denbigh, Ruthin, Prestatyn, Rhyl, LLandudno Abergele, Colwyn Bay and Penmaenmawr.